While there have been reports suggesting that Reliance Jio offers the lowest 4G data speeds compared to other operators in India, another report now indicates that the operator is witness the highest data traffic globally. According to reports from global financial services company Credit Suisse, Reliance Jio has the highest data traffic in the world. The operator is said to be handling an average 16000 TB data per day, beating China Mobiles 12000 TB. In India, Airtel had been leading the way with a mere 2000 TB per day. This clearly indicates that Reliance Jio has effectively brought in the mobile data revolution that we had been waiting for. Credit Suisse further attributed the drastically reducing 4G speeds of Reliance Jio to the increasing stress on the network due to the exponential on-boarding of new customers. The company further said that it is understandable for any new operator to see the decline in speeds given the load on the infrastructure. 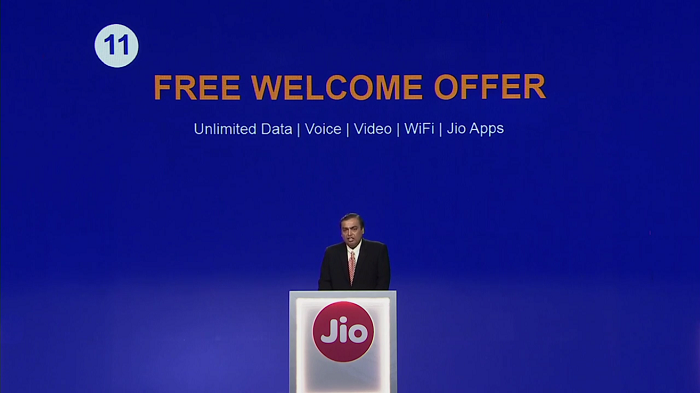 The reason for the massive usage of mobile data services from Reliance Jio is obviously is the free Jio Welcome offer, which entitles every Jio subscriber to unlimited voice and data services. The offer is valid till December 2016 but recent reports suggest that the company may further extend the offer till March 2017.